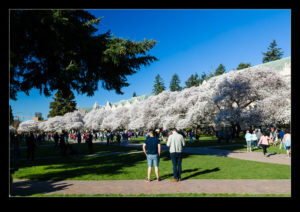 Spring is springing in the northwest and that means lots of trees in blossom. 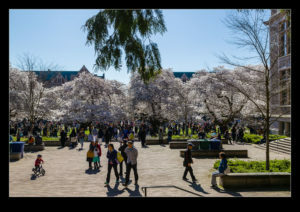 The University of Washington campus has cherry trees in the Quad that were gift from the Mayor of Tokyo in the early 20th century. 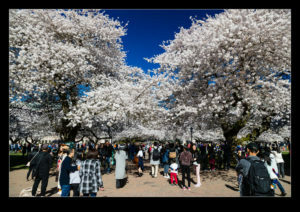 When they come in to bloom, it is a popular attraction. We went a little early in the day but the place was already heaving with people. I had gone with the thought of taking the tripod and getting multiple shots to blend in post and average out the individuals to hopefully result in a cleaner shot. I quickly realized that this was not going to be possible. There are so many people there in so many places that having any time with a clean background is unlikely. I had shots a few shots but decided this was going to be futile. 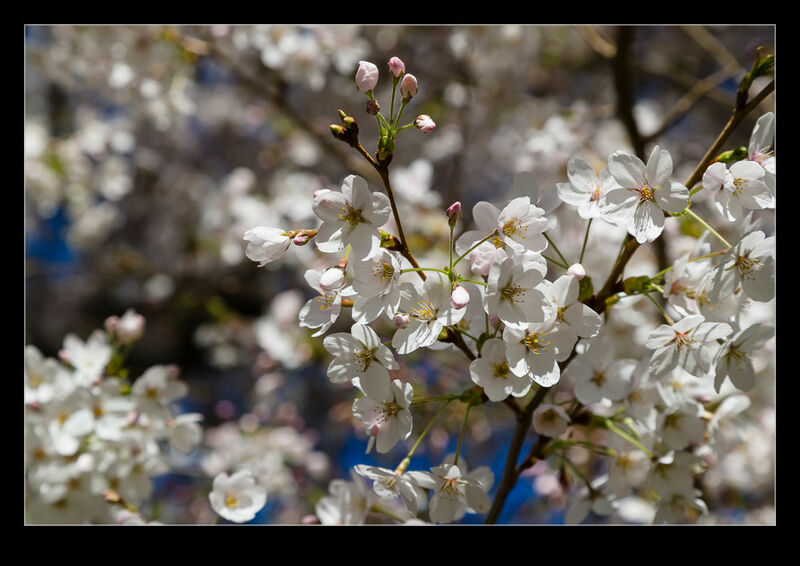 You need to have enough time with clear space for each element of the shot and that was not going to happen. 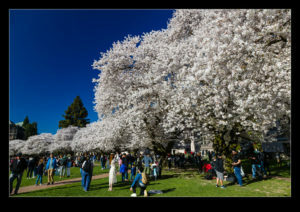 Instead, I focused on a) enjoying the scene and b) getting a few different shots to either isolate the blossoms and trees to to show just how crowded it was. The number of people there was interesting in itself. 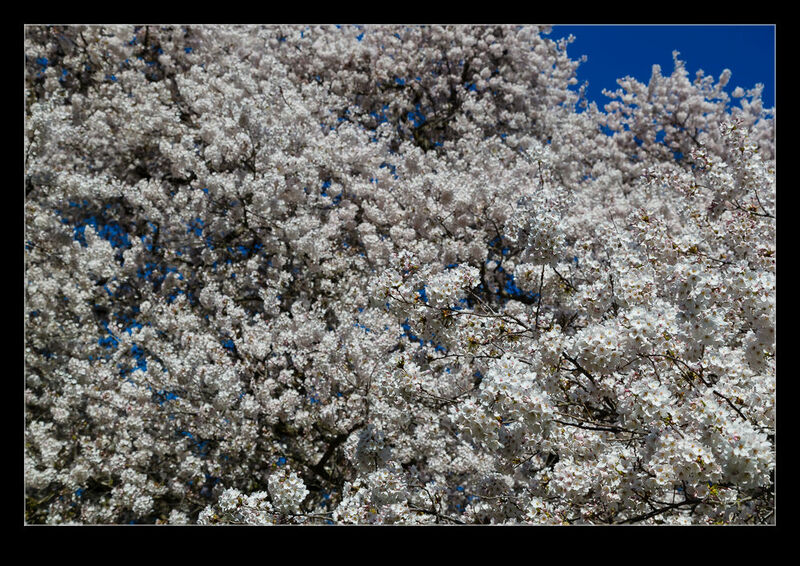 Most were there to enjoy the trees but there were some who were using it is a backdrop for their own pictures. People in flowing gowns were being photographed and we came across a ballet dancer who was having her picture taken while adopting various poses that I don’t think I could achieve. 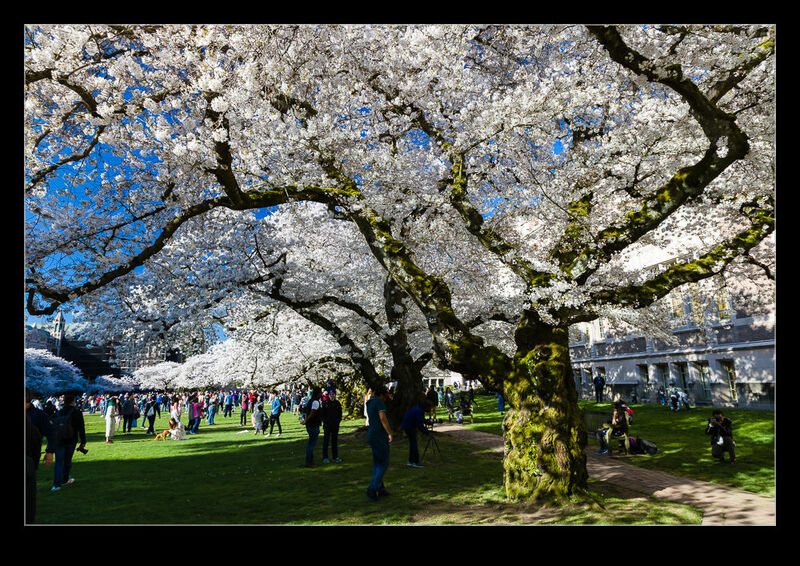 It was both fun to see the trees, enjoyable to see people enjoying the trees and frustrating to see how many individuals couldn’t help themselves but grab the trees. Plenty of signs asked people not to climb on trees and grab branches but a few were always doing so. I guess some people are just dopes. 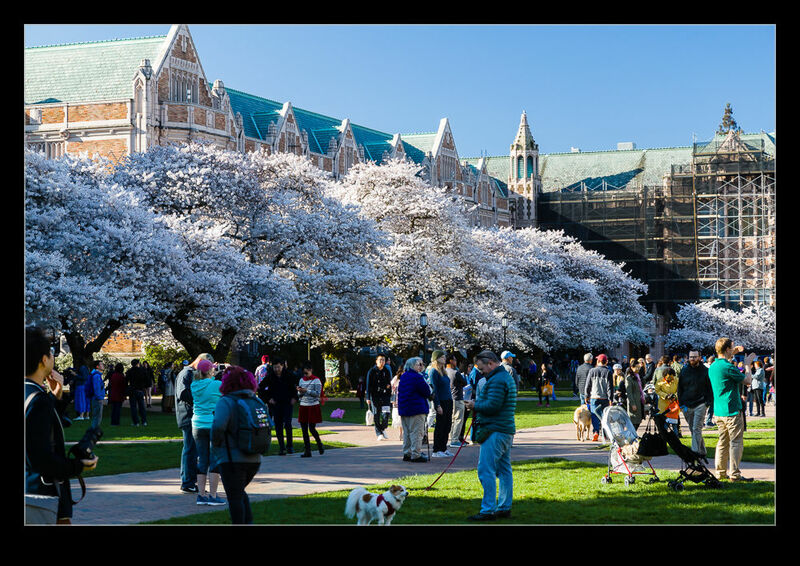 This entry was posted in Pacific Northwest, photo and tagged blossom, cherry trees, flowering, photo, seattle, spring, university of Washington, UW, washington. Bookmark the permalink.